Where did this month go!?!?!?!? I can't believe I'm back again with an empties post, although this time it's more of a "things I'm throwing out" rather than an empties post. I barely used up anything, but I'm putting quite a bit in the bin. These three are my only finished products for the month.. I've had this cleanser for ages, it smells and feels like oatmeal, doesn't do a great job at removing make up, so I used it to cleanse my face on days where I don't wear makeup. Initially I thought these were great samples for my bag, unfortunately both spraying devices were faulty. I eventually took the containers a part and used the essence as a toner. Which worked alright. I have a massive bottle of this already, and I really like it. It's super duper gentle, even for the sensitive bits haha. From here on are all the binned products.. I've used this quite a few times, it didn't really cover my blemishes too well, but it did a good enough job at hiding my pores and smaller blemishes. I wouldn't say this is a one shade fits all product, I can't see this product working on those with really pale or dark skin. This is usually used on "good skin days" when I don't have read blotches all over the place. Unfortunately, when I went to use it recently, it smelt "off". When I first got this foundation, it was my HG, it did amazing things to my skin and made my skin look fairly even. However, as time went on, it appeared quite oily on my skin and made me look washed out as my tan developed. I'm throwing this out because it's quite old and I no longer reach for it. This was received from a beauty box, mine was in dark, I was able to work with it during summer. The texture was more or less a tinted moisturiser and did not have any coverage. I used it when my skin was feeling fabulous. I guess organic products generally don't have a long shelf life as this product was starting to smell funny too. Repurchase? No, need something with better coverage for my awful skin. This was a love-hate product. When I use my flat top brush the content were evenly spread and quite nice. But when I used my fingers, I experienced blotches and discolouration. In the past weeks, the oil separated so it's bin time. Another Model Co Product that's going in the bin. No luck with this brand at all! Repurchase? Potentially, however I have a million lip products so I won't be purchasing any lippies for a while. I love the flat shaped brush, allowing the polish to be easily applied with a few strokes. My shade was in 023 Grape Sorbet, a beautiful pearl pink colour. Drying time was more or less the same as other decent colour/top coat. My nails did give off a pearlescent shine once the top coat was applied, however the shine did not exceed... or should I say was equivalent to my Sally Hanson and Faby top coats. I've only tried Shellac, so I'm not sure what this "gel" effect looks like. To my naked eyes, it didn't look any different to a coloured polish with a decent top coat. Most standard nail polish (Faby, Sally Hansen, OPI etc) will last on my nails for about 5 days without any real signs of chipping. Longevity wise, it lasted the exactly same amount of time. Serious chipping came about after the 6ths or 7th day - unfortunately it did not pass the 14 day test for me, but I still feel it's a good polish set. I applied a layer of Ciate's nail sparkles on my accent nail - that prolonged the life of those single nail significantly with very minor chippings. A significant difference I noticed is that the top "gel" coat of Rimmel's Super Gel remained on my nails and did not chip separately, unlike my other polishes where the top coat would often come off separate to my coloured polishes. Do you prefer normal polish or gel? A'kin is one of the most beautiful skincare brands in Priceline (IMHO). My first Rosehip oil was from A'kin, it smelt amazing and felt like liquid silk on my skin. My mum is also an avid A'kin user, we both find their products to be light weight, pleasantly scented and just darn beautiful. Both A'kin and Al'chemy are a part of The Purist Company - all products are Australian made and owned with recyclable packaging; they are also vegan and cruelty free. I stumbled upon this eye gel by accident, it's light gel texture is perfect as a preventative measure for young adults. I use this during summer as my skin tend to appear more "plump" due to the heat. It's a beautiful gel that has a slight tightening effect upon application. I have been using and re-purchasing this eye gel for about a year, however, now that I have the occasional fine line business happening, I feel like I need something "heavier" .. so I've been using this eye gel with another eye cream on rotation. If you are looking for your first eye gel, I'd recommend this! Another product I've been using for the longest time, repurchased for several years as this night Creme is absolutely beautiful! I always end up going back to this night cream as the subtle lavender and rose scent helps me sleep! It's feathery light but still provides adequate moisturisation during the warmer months. During winter, I might use a thicker serum under my night cream. Have you tried anything from A'kin? I know we are relatively close to the end of January, but after reading everyone's 2015 reflection posts (which I enjoyed immensely) I am now inspired to create a post of my own... not that I have achieved much in 2015.. but here are some moments! 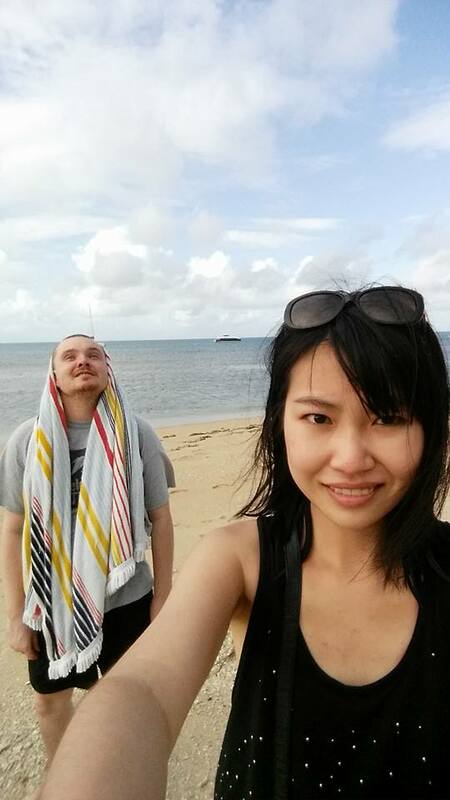 Last September my partner and I travelled to Port Douglas and snorkelled for the first time (I honestly thought I was gonna die, even with a noodle). 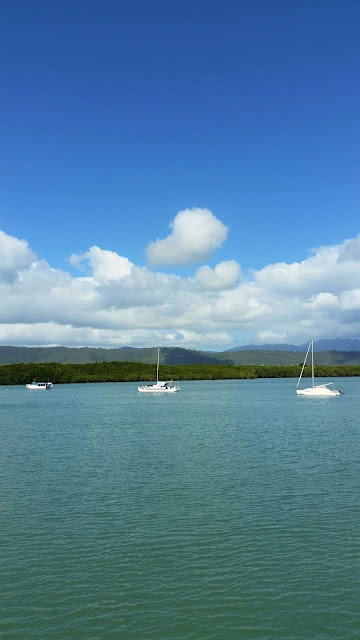 Port Douglas re-kindled my love for beaches and beachy holidays... and prior to that I worked for 1.5 years straight with 1.5 weeks off. CRAZY. See Port Douglas Travel post here. 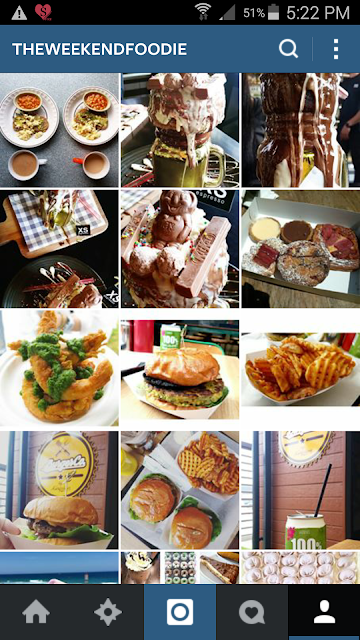 I finally separated my food and beauty into two separate accounts on Instagram. Initially I started The Weekend Foodie was a blog, but I just couldn't find the time to keep up with two blogs and two Instagram accounts. Eventually I decided to give up food blogging. My partner is also on the account to help out! Took the plunge and made the chop! I have never had my hair cut so short, it was nerve racking and regretful at first.. but it's really grown on me and I LOVE it. I feel like I can wear any wild coloured lipstick, any kinda clothes without creepy old men perving. See hair cut post here. There are pros and cons to living at home. I love my parent's company, the home cooked meals and I highly appreciate their thoughtfulness and organisation. I do miss having my own space and privacy... being able to walk around in my underpants and do some serious shower karaoke. I will be leaving home at the end of this year and moving into my own little space! I am very excited! I can bake O.K, I bake healthy and tend not to use any sugar or butter (I know, it's difficult!). But I can't live on sweet, baked goods! I still rely on mum's home cooking or have breakfast stacks on toast at night. I've been meaning to print out all 100 pages of the DQT manual.... I just haven't got around to doing it :( I'm aiming to get my full license in March, it feels so impossible because I haven't "studied" for 2 years and... well.. I'm just lazy! What's installed for 2 0 1 6 ? I'm taking two trips this year, one is already booked and the second one is pending. I'll let you guys know the destination in due time! The second trip involves large bodies of water and a LOT of beach. I've noticed that my metabolism has dropped now that I'm in my mid 20s. I use to be able to eat ANYTHING and wake up with a flat stomach the next morning. These days, I actually have my exercise, I went to the gym for the third time in my life on the weekend and will definitely be doing that a lot more often. Even though we see each other two days per week and talk every night for the last 4 years, I feel that couple's bonding time is still necessary. I feel like I personally need to make more of an effort to take interest in my partner's interests (whether it's music, movies or TV shows). Tell me about your 2015 and your plans for 2016! I can't believe we are sitting in mid January already, time is flying, second week back at work is just as hard. How fast did the weekend go?! My week and a half off during Christmas spoiled me! When my friend returned from her trip to Malaysia, she brought me back two lippies from Covo Cosmetics - this is a brand that I have never heard of before. I was super curious after seeing the adorable packaging! Both Covo Moist Madness SPF 18 Lipstick and Covo Goddess Gloss possess an in-built mirror to ease application on the go! This lipstick is incredibly moisturising. Re-application is recommended every couple of hours as my lips did demonstrate some minor dryness after 2 hours at work. As per it's name, this lipstick was gorgeously sheer. Sheer Chiffon seemed to be slightly lighter than my lip colour upon application, however, the shade warmed up and gave me a light wash of apricot, I loved it. The colour will last up to 2-3 hours without eating or drinking, although it is not designed to be a long-lasting lipstick. The texture of this lippie may seem waxy at first but once you apply a few layers it's actually quite creamy! Scent wise, this lipstick smelt like candy and toffee, delicious! Overall, I really like this lipstick, it's the perfect everyday wear! I have mixed feelings about this gloss, it's non-sticky, super glossy, compact (perfect for your purse), smells like jelly babies with a 30 degree angle wand.... BUT... it's difficult to blend when applied over lipstick. When I say blend I mean that it doesn't spread easily, I got a small clump here and a small clump there to the point I had to lightly blot my lips. It's not too bad if you apply the gloss directly onto your lips. I'm not too sure where you can get Covo Cosmetics from Australia, but if you are traveling to Malaysia - definitely stop by to check out their Moist Madness Lipstick, I've been using it everyday for the past week, it's addictive! Have you heard of Covo Cosmetics? Hair extensions is an avenue that I've never ventured into.. after my haircut, I became curious, especially after missing my longish hair during the first week of the cut. I've always wondered why people would ever want more hair.. now I know! Irresistible Me Hair Extensions offer a wide range of hair, from ponytails and extensions to full laced wigs. I wasn't able to escape the word 'Remy' on the website, I had to google the definition because it sounded like a Pokémon character to me. 'Remy' hair simply means that when collecting the hair, all hair follicles are going in one direction, eliminating tangling issues. And yes, all Irresistible me hair products are salon quality and 100% human remy hair. Being naturally stubborn, I decided to start putting the hair extensions in my hair without reading the instructions or watching the how-tos.. (not recommended if you are a newbie like me!) I did end up pulling a few hair out - some from the extension and some of my own. There are a million different YouTube demos only showing the full application. After watching a few different videos/trial and error.. I finally got the hang of it. I must say, applying hair extension on short hair is DIFFICULT for beginners! There's a lot of layering going on! A little bit about the extensions I selected: 01 in Jet Black, 20 inches, 140g. This was chosen mainly because I know I will never have the patience to grow my hair out that long and deal with the maintenance. Having hair extensions was quite an experience, it was definitely better and more breathable than a full wig. At first I did feel strange having someone else's hair on my head and it was quite heavy even though I didn't use all 140g of hair. I suppose for regular hair extension users, it would be a stroll through the park; however, as a first time user, it did take some time for me to get use to. Nonetheless I certainly did like the outcome and all the wonderful things I can do with long hair! I don't think I would use all hair extensions on a regular basis, it's great for parties and the smaller pieces are excellent to experiment with in the future - I can possibly curl or dye the smaller strands to my desire and attach/remove from my hair to suit the look. Have you ever tried hair extensions? What was your experience like? Happy New Year!! I can't believe it's 2016 already. Today is also my last day of holiday before returning back to work tomorrow *Sobs* I was really enjoying all this free time! Today I'll share my 3 self tan products, as a bronze goddess admirer, I love a good tan. I've been trying and testing several tanning products for the past couple of months, and have made my final picks. Before you even think about applying fake tan, whether it's wash off or a long lasting tan, make sure you exfoliate to ensure all dead skin cells are off and away from your body. A smooth canvas will allow a smoother and longer lasting tan. I've selected Skinny Tan's Pre Tan Primer - it contains little exfoliating granules and smell like coconuts! Rimmel's Sun Shimmer Instant Tan BB is perfect for those who prefer not to commit to a long term tan, it's a BB cream/tanner for your limbs! Your legs will look incredibly smooth and bronzey. The texture is similar to a facial BB Cream. When I first applied the product I thought it will turn muddy but it looked very natural on my olive skin. Be extremely cautious around your knees and toes. The product is completely matte and has a rather floral scent. Your tan will last all day until washed off with body wash and lukewarm water. Rimmel's Sun Shimmer Mousse is a great easy to apply natural long lasting tan. Avoid applying with your hands as it will stain, I couldn't find my tanning mitt and used a disposable glove - I thought it would streak but came out very natural looking. The tan lasted for approximately 5-6 days on me and is completely matte. The colour developed instantly, although it will warm up a little after an hour. There is a self tan plastic scent once applied, but I really like the outcome so I will continue to use this. I will definitely be throwing out my Model Co fake tan! Do you have a favourite self tan product?